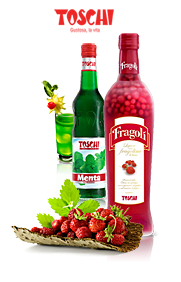 Toschi classics - offspring of a love for local tradition From fruit in alcohol to liqueurs, from syrups to Amorena: a range of fine products that all share the same features in common: painstaking selection of raw materials and very special processing techniques to meet all the demands of professionals and consumers for full flavour and versatility. 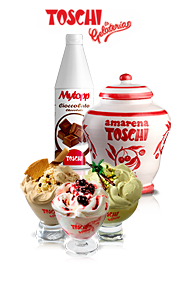 To meet the high-tech needs of ice-cream sellers and also for lovers of artisan italian gelato,Toschi, starting with the most famous Amarena cherry, offers a whole range of products for ice-cream parlours and pastry makers, with the highest standards of quality and service: powder bases, classic and fruit pastes, whole fruit and creamy toppings. 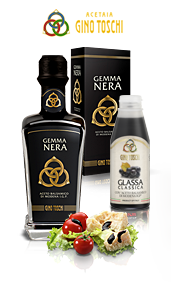 Balsamic Vinegar of Modena IGP is known and revered by great chefs the world over as a unique and unmistakeable product. 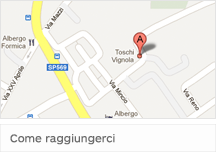 Toschi offers our very own Gino Toschi brand, named after the father of the company’s founding brothers, living proof of a long tradition, firmly rooted in his native countryside.